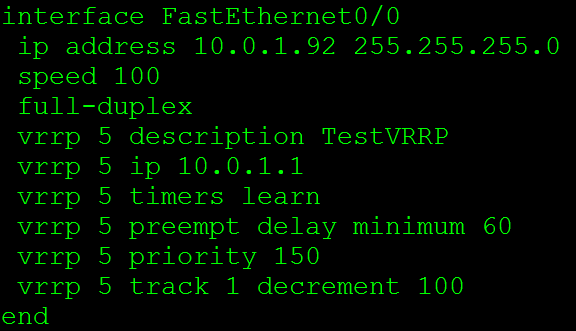 First Hop Redundancy Protocol: VRRP | CCIE or Null! « You don’t have to block ICMP completely. Good writeup. I would add the RedHat was CentOS 6.2 running keepalived-1.2.2-2.el6.